Nickelodeon’s Teenage Mutant Ninja Turtles tell their own origin stories in this 128-page novelization that’s actually two awesome books in one! 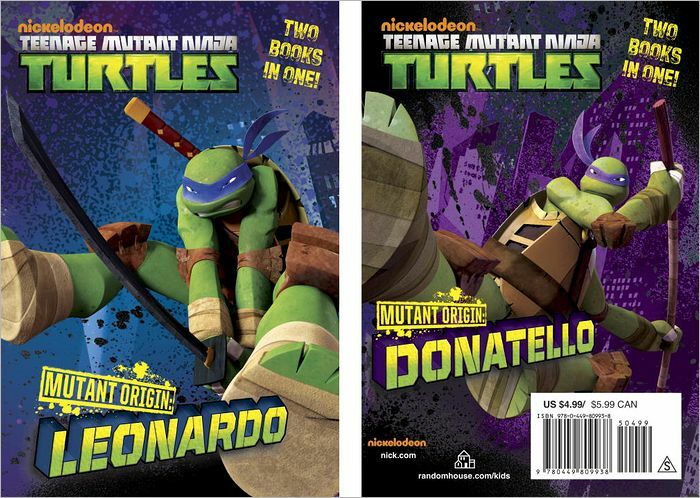 Boys ages 8-12 will thrill to the first adventure, as Leonardo reveals how he became the leader of the Turtles. Then they can flip the book over and let Donatello narrate the Turtles first epic battle with the Kraang.